As’salaamu alaikum. More and more, topic wise, duroos from the scholors like Hafiz M. Idrees, Maulana Dr. Aslam Siddiqi, Mian Maqsood Ahmed, Prof. Usman Ghani, etc., need to be recorded to strengthen your channel. 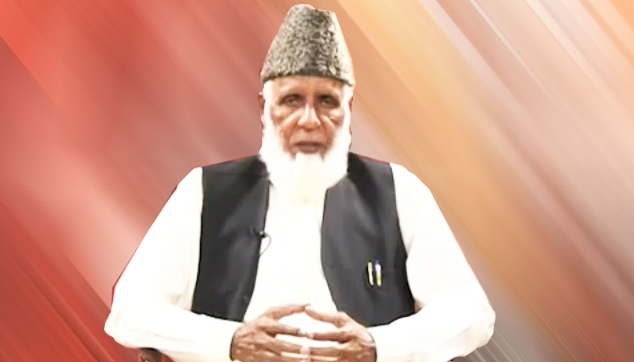 Jamaat e Islami ki dawat aur us k aalami asraat per bhi Hafiz Idrees sb ka mufassal prog record karain. Jazaak Allah. Allah more bless on Hafiz.Good program. Excellent Dars-e-Quran, Jazak Allah Khair. Please arrange more Daroos on different topics like, Fikar-e-akhirat, Fareeza-e-Aqamat-e-Deen, Momin k ausaaf, Infaq fi Sabeel Lillah, Jihaad fi Sabeel Lillah…. no doubt imran khan is the only hope of pakistan but still he needs to learn a lot. He must tcrcenonate on team work and institutionalising his party. Moreover, he will have to get rid of taliban image in the public eye as well. Great Imran Khan did a great job.